Pocket PiGRRL Raspberry Pi 2 #3DPrinting « Adafruit Industries – Makers, hackers, artists, designers and engineers! 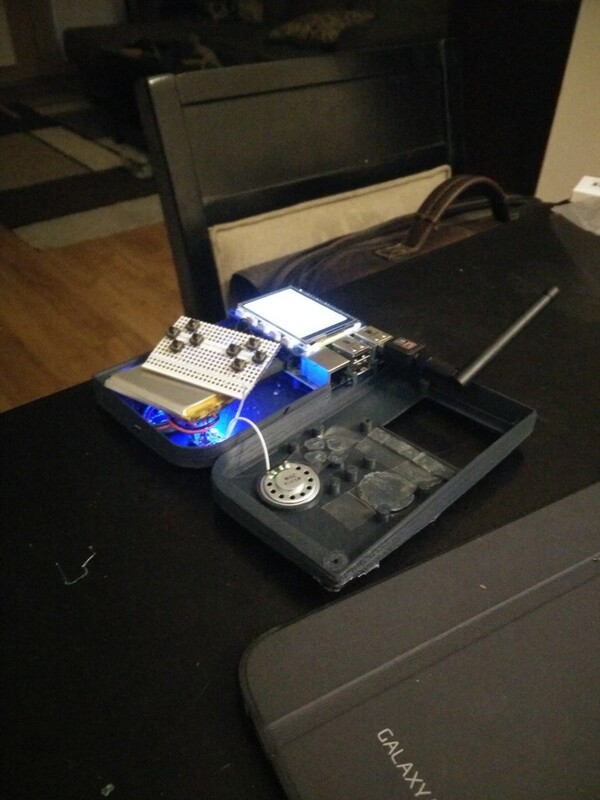 This is a remix from Adafruits Pigrrl, I liked the design of the pocket Pigrrl and not reusing an SNES controller, but using spst switches, but I wanted to use my Raspberry Pi 2 for more power. So I meshed the Pigrrl original and Pocket PiGrrl and altered the usb and ethernet holes. Printed a rough draft dimensions were good. This is with the 2.4 inch screen still, as that is the only screen I have, could easily be modified for larger screen.